It's never been more important to teach your children well. What America needs today are parents who don't just say they value these virtues but who live them and passionately and boldly teach them to their children. It's up to me and you and every parent in America to make the necessary changes to give our children the opportunity to change the world. We do that by instilling good character traits in them so that they will be capable of being the adults our world needs. Many parents want to see positive character traits in their children but wonder how to instill them. 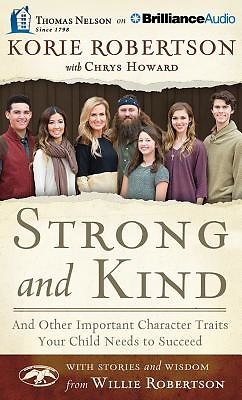 As stars of the hit reality-TV show Duck Dynasty, Korie and Willie Robertson receive loads of letters and messages from fans asking how they've raised such good kids. As they will tell you, "it isn't always easy, but raising kids with good character is possible." By modeling positive traits, with confidence, consistency, creativity, unity, and in truth and love, you can increase the chances of your kids catching on. At the end of the day, the Duck Dynasty stars say the most important thing you can do for your children is what they do at the end of every episode: hand them over to God in prayer.